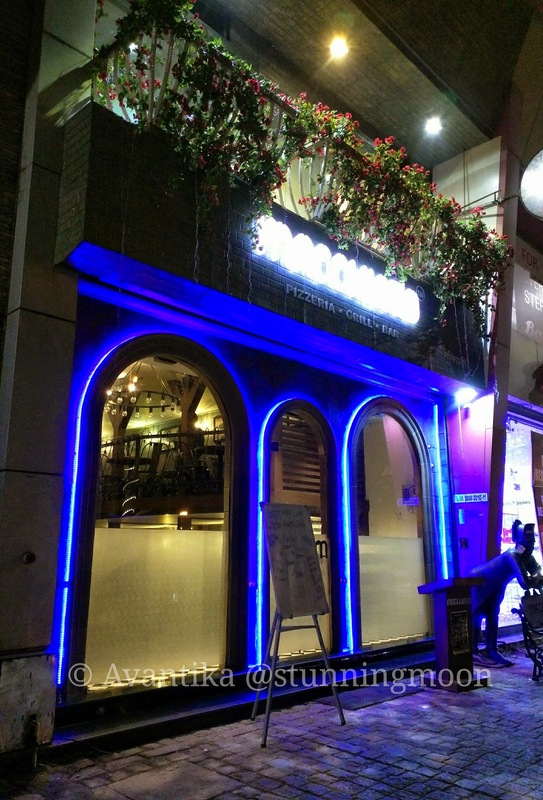 Macchiato is an exclusive Italian casual dining restaurant. 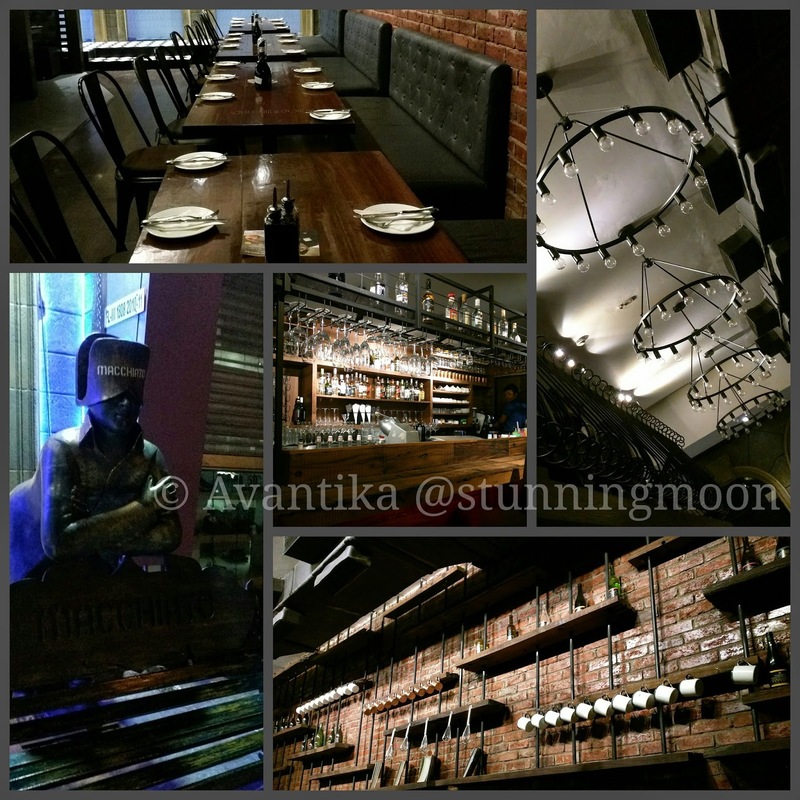 A concept designed and executed by celebrity Chef Manoj Rai. Macchiato is a venture of Venezia Food & Beverage Pvt Ltd which is an Indian subsidiary of GC&P Italy. Macchiato is designed exclusively keeping Italian theme in the forefront. Right from the entry to the ambiance everything has an Italian touch to it. There is a special emphasis on the ingredients used at Macchiato. Majority of the products are sourced at the origin and imported thereafter, so the authenticity isn’t compromised. 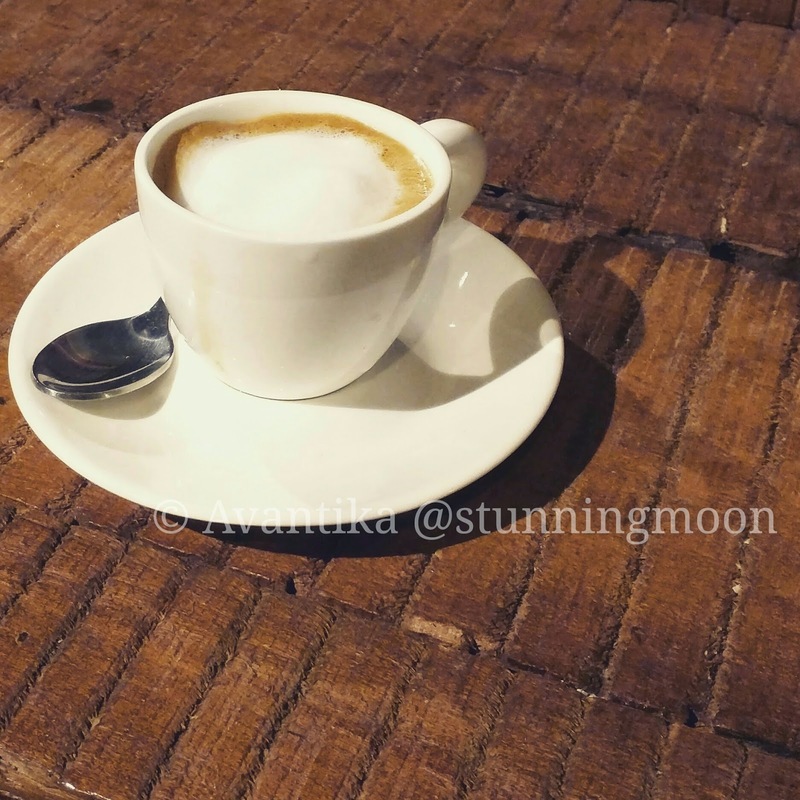 Once we had taken in the ambiance and decor, we started with the signature 'Macchiato Shot' that is basically like a hot expresso with some frothy milk. It was definitely a nice powerful start to the evening! 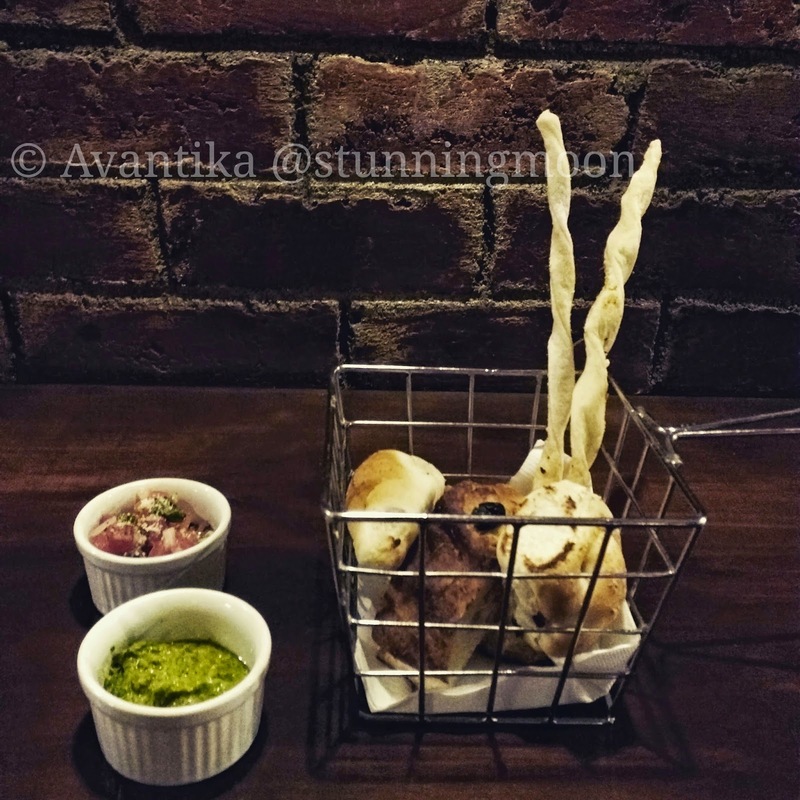 Next we had the 'Homemade Bread Basket with dips'. Quick trivia, they use Farina flour for breads and pizzas here at Macchiato, and not our typical wheat or 'maida'. 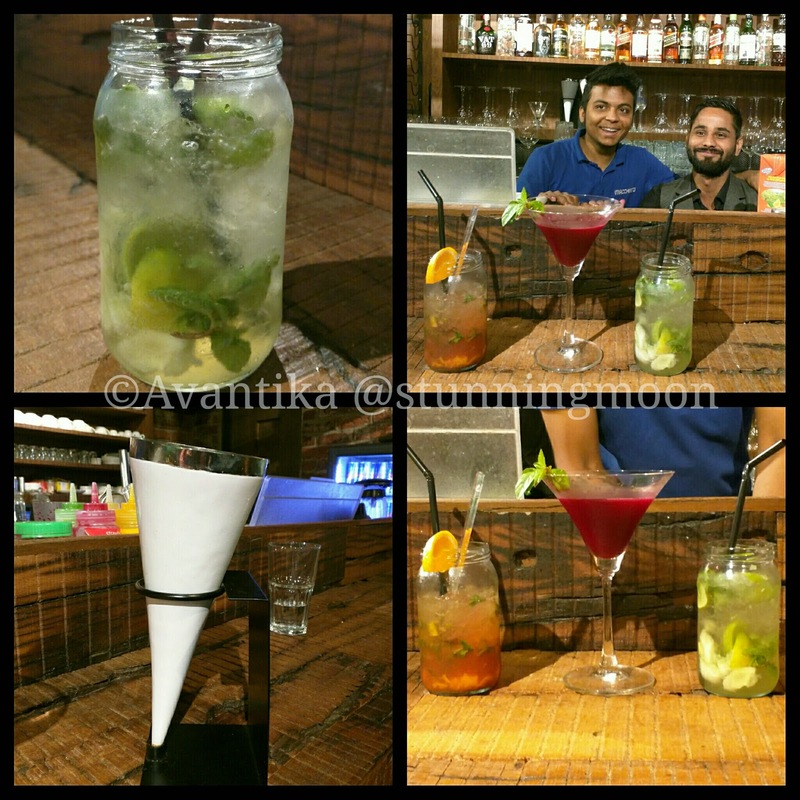 For drinks we chose three mocktails - The first one was "Orange Blossom" and the next two were made specially for us on the spot, not from the menu! I absolutely love how they serve their mocktails in jam jars. They also have this special ivory horn like container to serve smoothies! Next was some antipasti & appetizers. 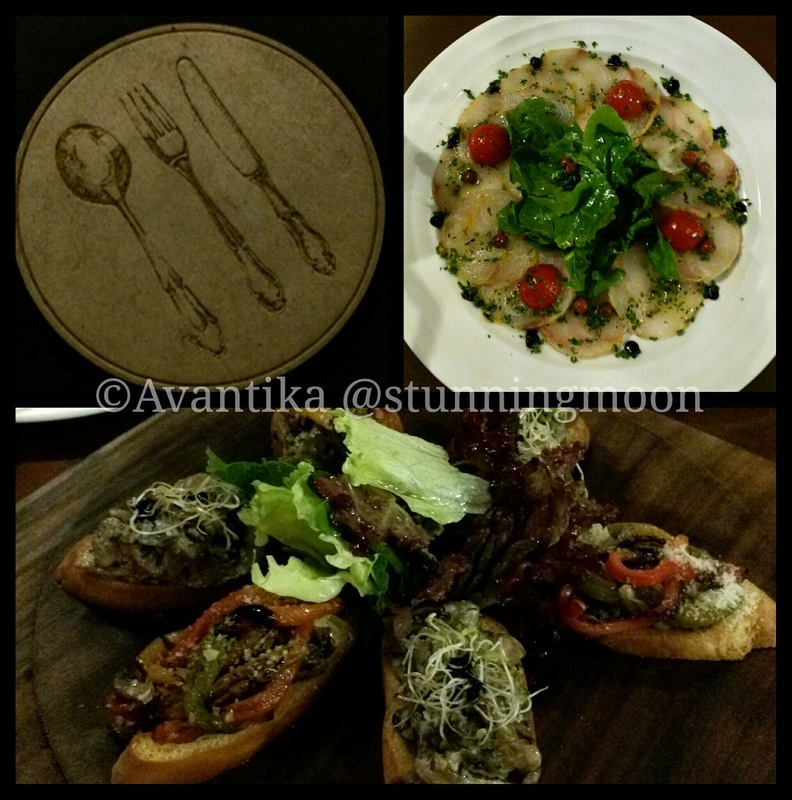 We went with the chef's recommendation had tried the Carpaccio di branzino (carpaccio of seabass, with fresh tomato, rocket, lemon dressing and pink peppercorn), Crostini di funghi (medley of three mushroom braised in fresh herb & alfaalfa sprout served on fresh baguette), and Crostini di carciofi (toasted homemade fresh bread topped with artichoke, peppers and mushrooms,graninated with parmesan cheese). Honestly, I did not find any of these appealing and was hoping that the main course changes my mind! Maybe the flavours were to bland for my taste as authentic Italian is supposed to be, and also I am not a fish person. Though it's very interesting that the fish was not cooked, but just the citrus used makes it about 60% cooked automatically! For main course we went with Risotto con funghi (wild mushroom and truffle risotto), Ravioli pasta with vegetarian stock (not on the menu) and Ortolana pizza. I absolutely loved all three of these, so happy! The pizza was the usual, you can't go wrong with that one. Chef Manoj Rai suggested not to add any Oregano or Chilli Flakes additionally as the required amount is already present. The Ravioli pasta though did not look appealing, looks can be wrong and in this case too it tasted really nice, the stock and everything. 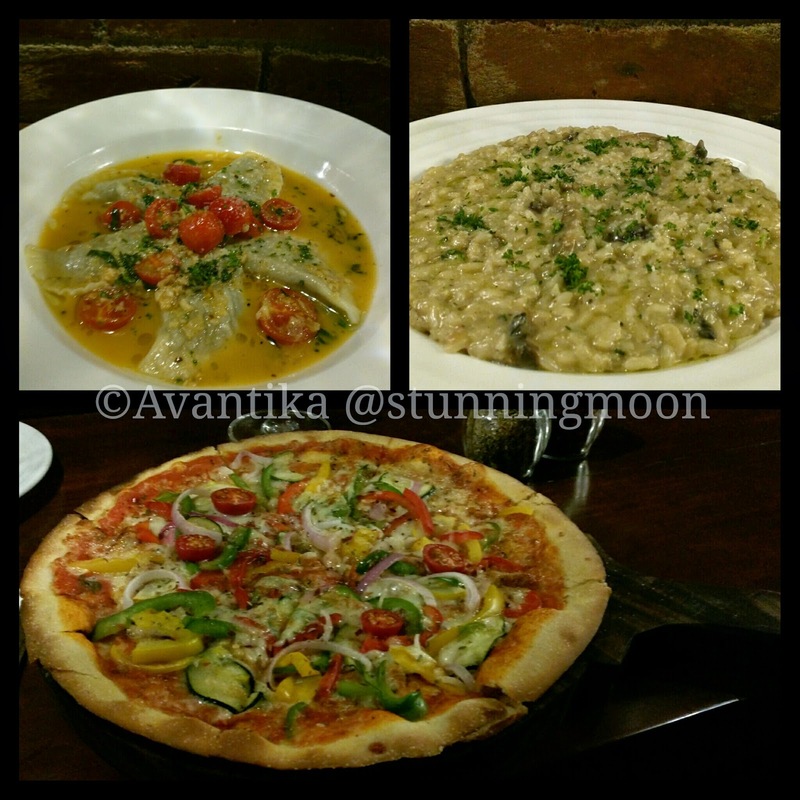 What I liked the best though was the Mushroom Risotto, fresh and hot, the rice perfect and not overcooked! Now finally coming to my personal favourite part of any meal, desserts! 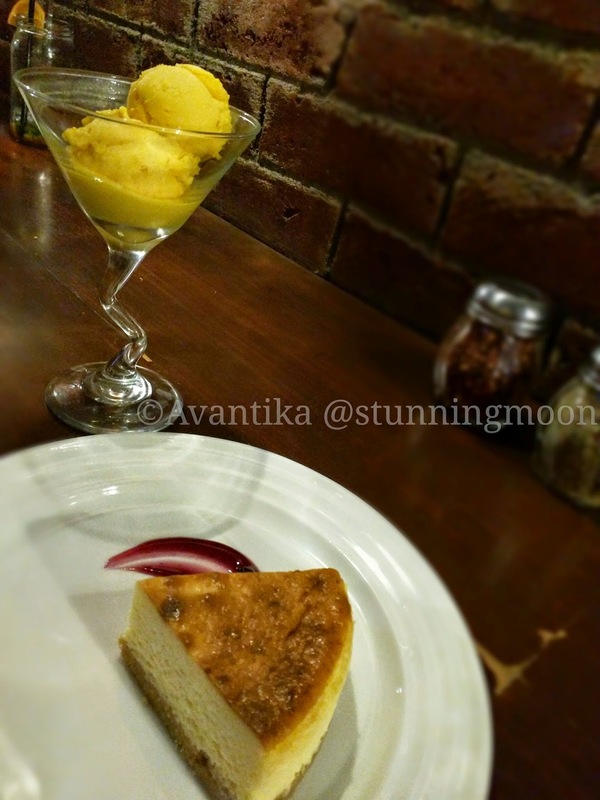 Chef Manoj Rai recommended to go for their signature Italian Cheesecake and some Mango Gelato. The cheesecake was perfection personified! The right denseness, texture, sweetness! I kept my guilt aside and also ate the crumbs! The mango gelato was good too, but nothing exceptional about it. Would love to try the Tiramisu next time! Overall, we had an amazing time. They usually have live gigs and karaoke sessions on weekends, workshops and they're also planning something special for Valentine's Day! 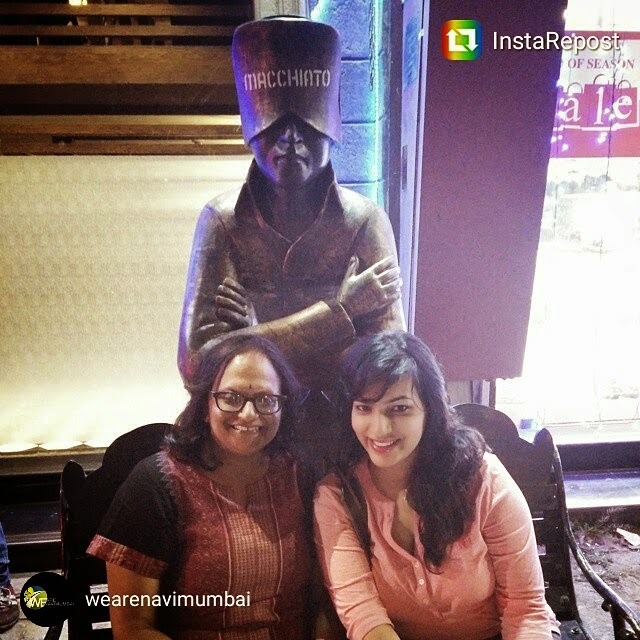 To make it a point to visit this place and have a good time with your folks! Hope you liked reading my review.